Explanation: Long shadows are cast by a low Sun across this rugged looking terrain. Captured by New Horizons, the scene is found just south of the southern tip Sputnik Planum, the informally named smooth, bright heart region of Pluto. 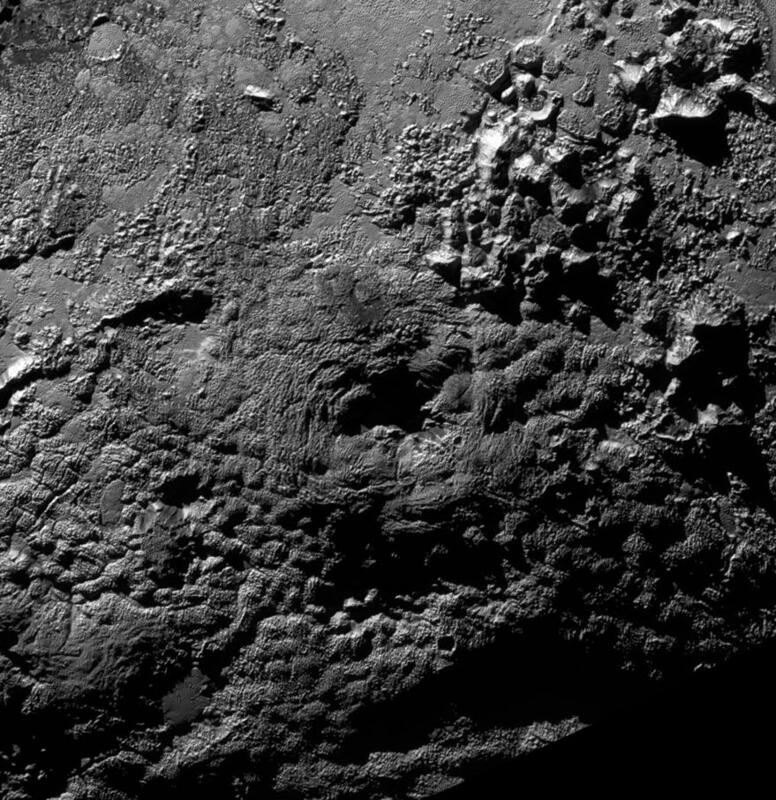 Centred is a feature provisionally known as Wright Mons, a broad, tall mountain, about 150 kilometres across and 4 kilometres high, with a 56 kilometre wide, deep summit depression. Of course, broad mountains with central craters are found elsewhere in the Solar System, like Mauna Loa on planet Earth and Olympus Mons on Mars. In fact, New Horizons scientists announced the striking similarity of Pluto's Wright Mons, and nearby Piccard Mons, to large shield volcanoes strongly suggests the two could be giant cryovolcanoes that once erupted molten ice from the interior of the cold, distant world.